If you’re a Casino fan, then Lucky Keno is the game for you. This is a modern version of the very popular Keno game and is centered on 80 numbers and 20 balls which are drawn in each round. A player can select a number in the range of 1 to 15 in ever round. 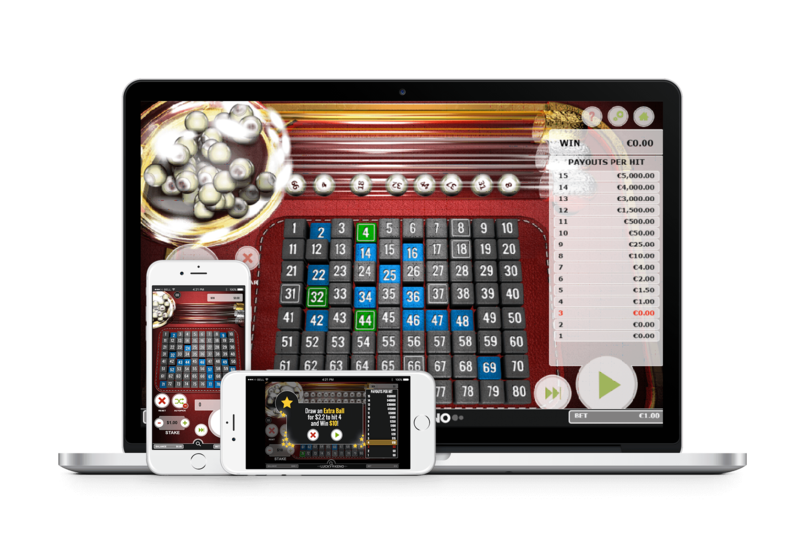 Here is an interesting twist that makes Lucy Keno a super exciting Casino game. As a player, you can buy an additional ball when a round ends. Just before the round gets over, you can offer the ball for a special fixed price and add an extra element of luck to the game. It is possible to add a maximum of 10 extra balls in each round, so players get a chance to be higher on the payout list! A version that is displayed on browsers accessed from desktop computers. A mobile optimized version holding the smartphone in landscape mode. A mobile optimized version holding the smartphone in portrait mode. Fill the contact form to test Backgammon and discuss an integration. rocabee is a trusted product and service provider in the online gaming industry. We bring expertise and many years of experience to the table. We are also gaming enthusiasts always on the pulse of the latest industry developments and innovations. rocabee is based in London - United Kingdom. We are a member of The UK Interactive Entertainment Association (Ukie). ©2018 rocabee Limited. All Rights Reserved.